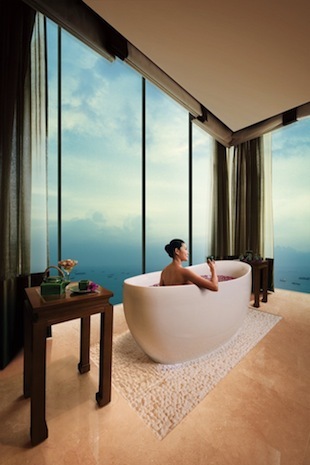 Synonymous with 5-star luxury, Banyan Tree Hotels & Resorts has a true oasis in the sky, Banyan Tree Spa Marina Bay Sands. 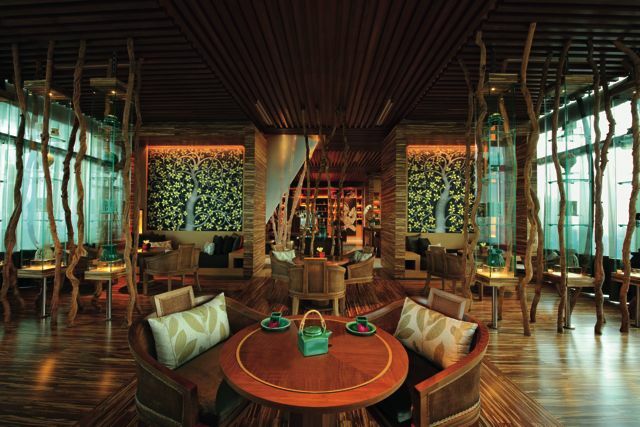 This is the award-winning Banyan Tree’s very first spa in Singapore and the tallest Banyan Tree Spa in the world with spectacular views on the 55th level of iconic Marina Bay Sands Hotel – Asia’s leading leisure, entertainment and business destination. 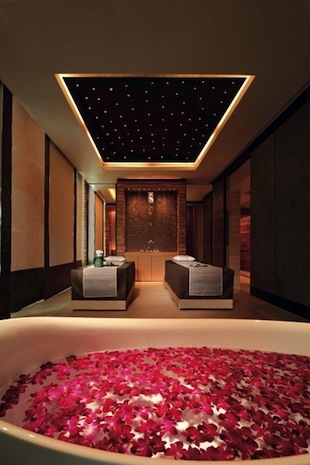 Featuring a refined, sophisticated look, yet with the very appeal of a Banyan Tree resort, this urban spa infuses the sleek glamor of its contemporary design to the heart of Banyan Tree’s tradition of artistic expressions, aesthetics and finishes honoring Asian heritage. 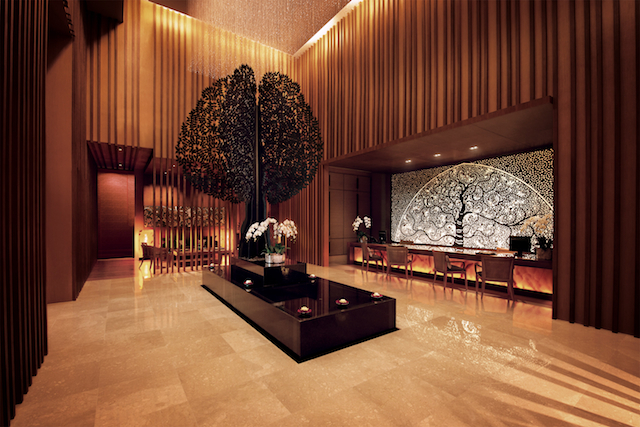 Decked in earth tones with notes of black as accent, the spa is holistically themed around the timeless concept of the Tree of Life by Architrave, Banyan Tree’s design arm, responsible for the Group’s designs around the globe. The distinctive Tree of Life, represented in almost all cultures, symbolizes immortality and wisdom. Step into the lush and private confines of this intimate haven with an immediate sense of tranquility and calm of the signature Banyan Tree Spa experience. 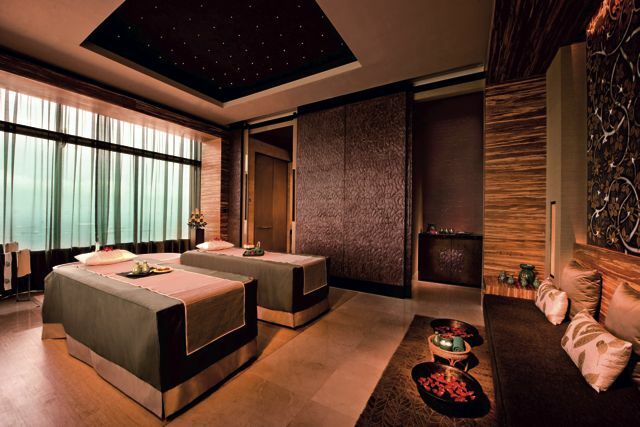 Banyan Tree Spa Marina Bay Sands…where a realm of comfort and pleasure awaits. Visit the website for spa menus and exclusive offers.